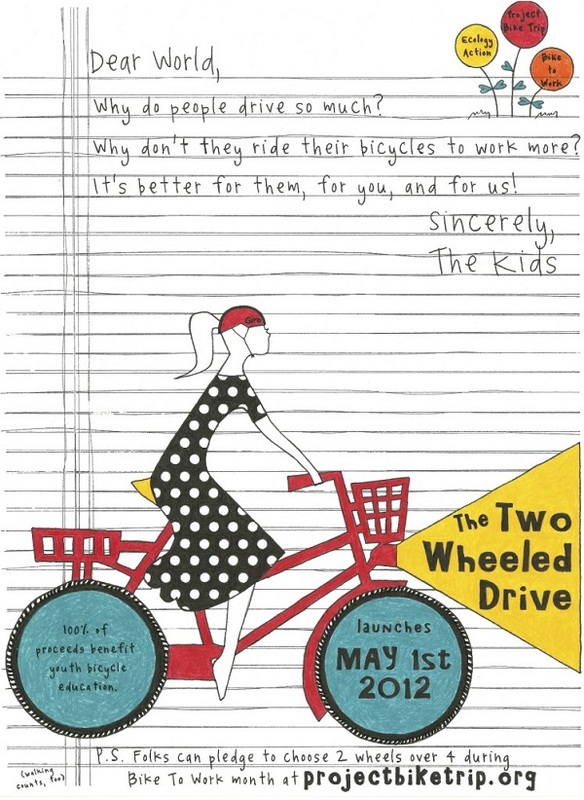 The Two Wheeled Drive is a drive to get more people commuting by bicycle more often by challenging folks to choose two wheels over four while raising awareness and funds for youth bicycle education. It’s essentially kind of like a walk-a-thon, but way better because it’s a commute-a-thon that lasts the whole month of May to recognize and support Bike Month and to raise money to get more kids happy and healthy by riding bikes. Project Bike Trip has partnered up with Ecology Action on this drive to promote biking to work as a dual effort. You can help by commuting to raise biking awareness and donating and raising money through the Project Bike Trip website. 100% of proceeds from the campaign will help fund three programs that encourage youth of all ages to get on their bikes and ride: BikeSmart! (elementary school), Bike Club (middle school), and Bike Tech (high school). Let’s work together to raise $25,000 to help youth find their way through bicycles! There are a ton of prizes to be awarded for all levels of fundraising including an Ibis Hakkalugi Bicycle in your favorite color decked out with Easton Cycling parts, SRAM Rival cyclocross groupset, and WTB saddle and tires or a New Belgium Brewing one-of-a-kind Fat Tire Cruiser Bike for top fundraisers! 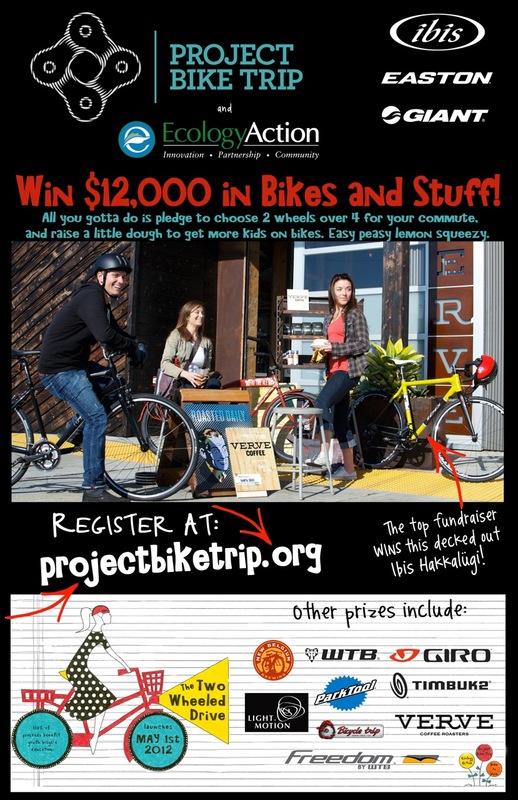 Learn more, check out the prizes and signup on the Project Bike Trip website. I really wish the best to all of you. This is a very good start for an advocacy like this. I am aware that all around the globe, the promotion of the use of bicycles as an alternative mode of transportation is flourishing. Keep it up!